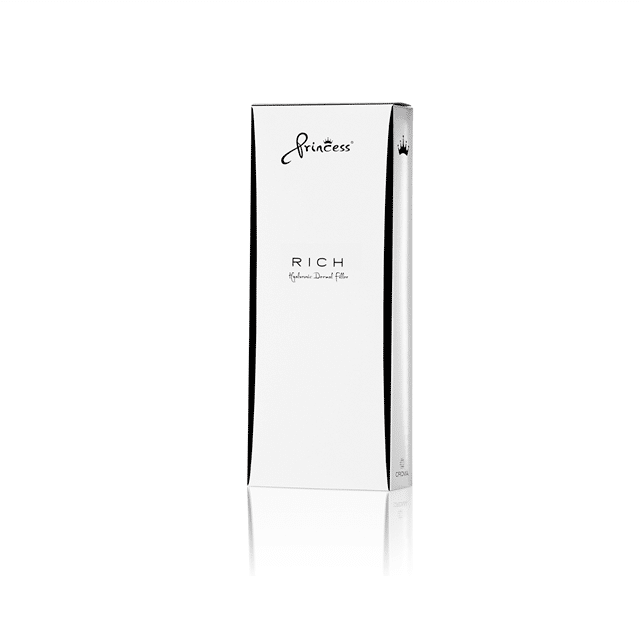 Princess Rich is a gel implant, containing a high concentration of hyaluronic acid that is stabilized by glycerol, a natural moisturizer that retains water and preserves hydration. For mesotherapy treatment and the correction of superficial wrinkles; the product is injected into the upper skin layer. 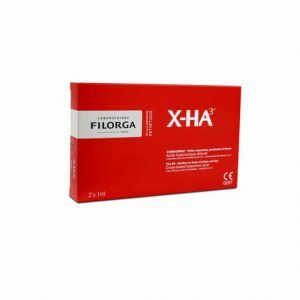 An unreticulated hyaluronic acid used in mesotherapy treatment of the face, neck and neckline. 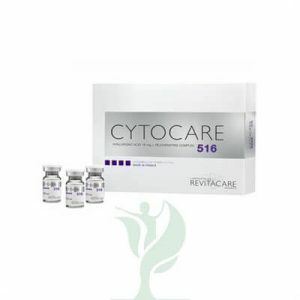 It contains 18 mg/ml of hyaluronic acid and the highest concentration of glycerol (20 mg/ml) of all mesotherapy products available on the market, which improves the quality and effectiveness of the treatment. It deeply rehydrates and revitalises the skin, helping it retain its natural tone, elasticity and young look. Our products give natural and long-lasting effects, enduring from 6 to 12 months. With the newest Advanced Rejuvination Technology (ART) Princess Rich perfectly fuses moisturising properties of natural hyaluronic acid and of glycerol. Using hydrogen bonds, glycerol creates a “protective coating” around the HA molecules in dermis, thus lending the acid its immunological – i.e. thermic, mechanic and enzymatic – properties, and efficiently impeding the invasion of free radicals. As a result, the hyaluronic acid retains water more easily and effectively, intensifying the process of skin rehydration. Stabilising and antiseptic qualities of glycerol contribute to the fact that Princess Rich has six times the moisturing power of other mesotherapy products, resulting in longer-lasting effects. The skin retains its elasticity, tone and glow for a prolonged period of time. Princess range of products fulfills the highest quality standards and is characterised by absolute safety, as a result of applying an elaborate and unique purification method which removes all undesired compounds from the gel. Princess contains reticulating agent residuals below the detection limit (<1 ppm). Princess products were created using revolutionary, patent-protected S.M.A.R.T. technology (Supreme Monophasic and Reticulated Technology). Only pure and natural hyaluronic acid of biofermentative origin is used as a basis for the S.M.A.R.T. synthesis. The S.M.A.R.T. process uses the well-established BDDE (butanedioldiglycidether) as reticulating agent to create a very dense HA network and perfectly clear gel consisting of very long, strong and stable chains of hyaluronic acid. The last stage of S.M.A.R.T. process is the removal of oxygen molecules, which enhances the stability of the gel once it is filled into the syringe, thus guaranteeing absolute safety of the procedure and full control over its results. Princess fillers are monophasic, complex and viscoelastic, which makes them perfectly smooth and highly elastic at the same time.